Firefox Reality is the VR App we’ve been waiting for, but it still has some problems. 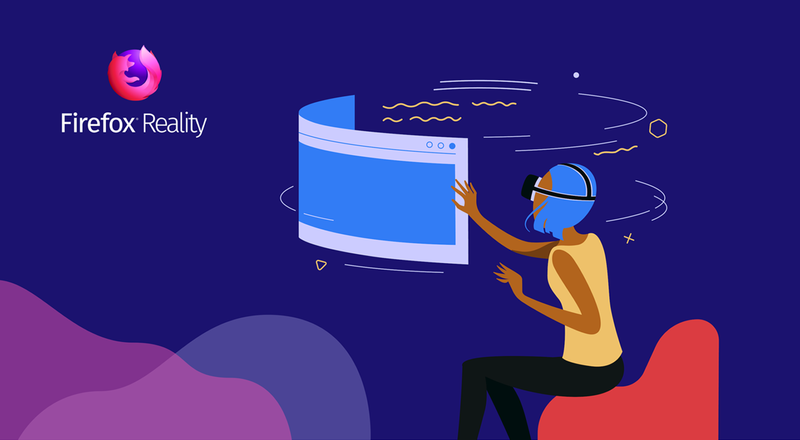 If you’ve been waiting for some more practical VR app, you should know that Mozilla just released a VR web browser called Firefox Reality, which is currently available for Vive Wave (in the Viveport store), Oculus Go, and Google Daydream. Mozilla announced the release of the first version of Firefox Reality in a blog post last week. The VR app that serves as a cross-platform VR web browser, was first publicly announced in another Mozilla blog post back in April. Last week’s blog post announced the release of the browser but it also talked about the reasons for developing the browser and updates that are already planned for future versions. What Does the Browser Bring to the Table? Firefox Reality is powered by Firefox Quantum, the same software that Mozilla uses in their mobile app. The browser takes up very little space and runs quickly by blocking ads and making it easier than ever to clear cookies and search histories, keeping your data safe and your computer running quickly. The VR app also has a private mode that doesn’t save history or cookies. What Problems Does the Browser Solve? One of the biggest reasons that Mozilla cited for creating the browser was to help VR users find virtual reality content. A homepage on the browser shows users a feed of new VR apps, games and experiences to help them find VR content from around the web. The other big problem that Mozilla set out to solve with their browser was the difficulty of searching in virtual reality. Entering text in VR is still a fairly tedious project. While Firefox Reality has an option for entering text in VR using a remote, there is also an option to voice search using the microphone on your headset. What Problems Does the Browser Have? There are also a number of things that Firefox Reality doesn’t do, but which are acknowledged in the announcement as updates that will be coming to future versions. The app doesn’t currently offer a bookmark feature and doesn’t allow for multiple profiles. While the announcement said that there will be a Firefox Reality 1.1 “just around the corner” it didn’t say what features it would add. Many VR users would doubtlessly like to see future versions run on even more platforms. Vive, Oculus, and Daydream are some of the biggest names in VR today, but PlayStation VR and Samsung Gear are popular virtual reality platforms as well and it would be nice to see a VR web browser come to those platforms as well. Also, the VR app currently runs on standalone devices, not on PC-based systems like Rift. If you own a standalone VR system, Firefox Reality is definitely something to look into. For the rest of us, there may not be a good VR web browser out there yet, but it’s certainly exciting that Mozilla has gotten the ball rolling. See Also: Take a Vacation Without Leaving Your Desk: Virtual Reality Game Bait!